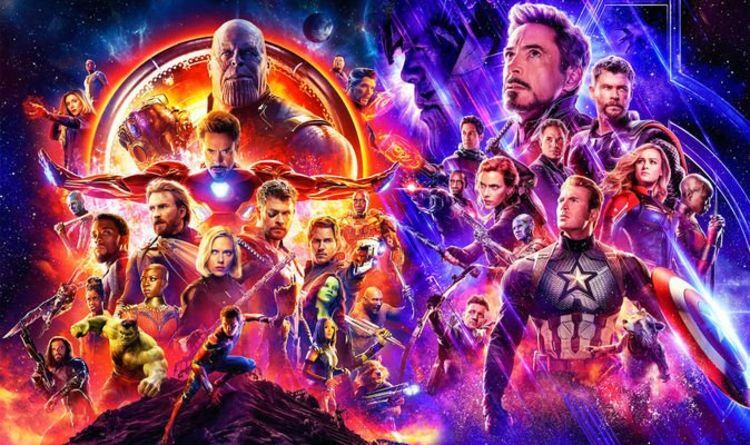 Home » TV & Movies » Avengers Endgame runtime: Will Avengers Endgame be the longest Marvel movie EVER? Avengers: Endgame is less of a movie and more of a pop culture event. The final instalment in the Marvel Cinematic Universe Phase Three arrives in cinemas next month. Fans are already hunting for every morsel of information, from ticket presales to runtime. According to American cinema chain AMC, Avengers: Endgame will be three hours and two minutes long. If this runtime proves to be true, Endgame will be the longest Marvel movie ever. Avengers: Infinity War currently holds the title with a runtime of two hours and 29 minutes. Captain America: Civil War was two hours and 27 minutes. Finally, The Avengers and Avengers: Age of Ultron at two hours and 23 minutes two hours and 21 minutes, respectively. The superhero genre is already full of movies with exceptionally long runtimes. But outside the genre, other movies have clocked in at over three hours. Notably, Lord of the Rings: The Return of the King had a runtime of three hours and 20 minutes. Wolf of Wall Street, starring Leonardo Dicaprio, was three hours long, while the classic Gone With the Wind clocked in at nearly four hours. Speaking to Collider about the runtime, Joe Russo, one of the co-directors, said: “We’re still at the three-hour mark. “I think the studio is down with what the best story is. “Right now, we think the movie is playing well and we’ve had great responses from our test audiences and we’re feeling very good about where it is. CAPTAIN MARVEL: WAS STAN LEE IN CAPTAIN MARVEL? WHERE DOES HE APPEAR? Marvel boss Kevin Feige also discussed the runtime with Collider. Feige said: “It’s going to be the exact running time that the movie needs to be. “In all seriousness, we don’t look at runtimes in terms of mandates, or anything like that. “Some movies can be 90 minutes and feel like they’re four hours. Avengers: Endgame is out in cinemas on Thursday, April 25, 2019. The Politician on Netflix release date, cast, trailer, plot: When is The Politician out?